Invisalign works to slowly shift the teeth together over time. While bringing teeth close together with Invisalign is common, the revolutionary Invisible Braces System may be used to treat a number of additional conditions including underbites, overbites, and crossbites. Patients must first schedule an appointment with an Invisalign professional. The Miami Invisalign professional will then conduct a quick and comfortable examination to determine the best course of treatment. This examination includes taking images of the oral cavity that will later be used to create a custom set of Invisalign aligners. 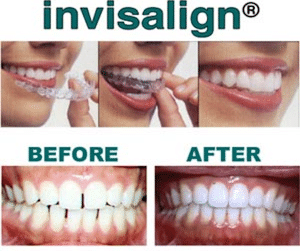 Invisalign aligners are then delivered to you and are worn for intervals of about 10-14 days, depending on the plan your Invisalign professional designs for your unique needs. Each set of aligners gently moves your teeth closer together. 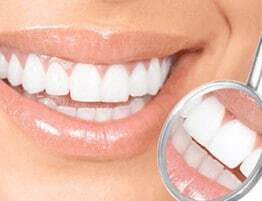 This process is repeated until your teeth are smoothly shifted into beautiful alignment. The greatest benefit of the Invisalign Invisible Braces System is that they are completely removable! Patients are free to remove their aligners prior to eating, brushing, and flossing. This benefit makes Invisalign the most comfortable and convenience teeth-straightening procedure available. What’s more, the removable nature of Invisalign allows patients to thorough clean their teeth as if they weren’t wearing braces at all. This dramatically decreases the incidence of tooth decay among Invisalign patients compared to those wearing traditional morning braces. 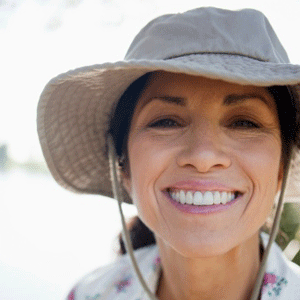 Over 1.3 patients have created beautiful smiles with the Invisalign system. That number continues to grow each day. Invisalign aligners are made of USP Class VI medical-grade polyurethane. This material is completely free of Bisphenol-A (BPA). This smooth and comfortable material passes all of the strictest of requirements for wear in the human mouth (i). Are Invisalign aligners approved by the FDA? Yes. Invisalign aligners are classified by the U.S. Food and Drug Administration as Class II medical devices. They are made of BPA-free medical-grade polyurethane that is bio-compatible and cleared for use in the human mouth. My teeth shifted after I had my metal braces removed. Can Invisalign correct this problem? Yes. A number of individuals experience slight- to-moderate shifting of the teeth after they have their metal braces removed. Invisalign is becoming a popular follow-up treatment for these patients because it is clear, comfortable, and convenient. Patients may follow up metal braces with Invisalign without feeling embarrassed or prolonged discomfort. Would you like to know more about Invisalign? Assure a Smile invites you to schedule an appointment to learn more about the Invisible Braces System that has over 1 million Americans smiling the beautiful, straight smiles of their dreams!